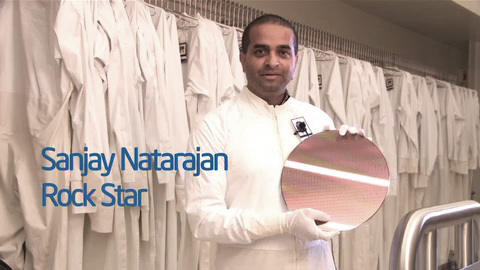 Sanjay Natarajan is an Intel rock star and director of logic technology development for the worlds first microprocessors built with 32 nanometer process, codenamed Westmere. Sanjay shares how Intel has reinvented the transistor again, improving upon Intels leading 45nm processor by creating smaller gate pitch and higher drive performance. He talks about using immersion lithography technique for the first time, and how different teams across Intel optimized new energy efficiency and performance features that will be available inside all new Intel Core microprocessors in 2010. Expect to see much more at the Intel Developer Forum (IDF) 2009.